This chapter addresses the indications for laparotomy following trauma. 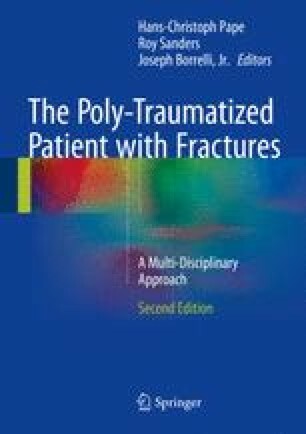 The authors will suggest algorithms and tenants of care, but there is not a cookie-cutter approach that incorporates all trauma patients or their injuries. Laparotomy for trauma is an individualized decision based collectively upon clinical evaluation and diagnostic adjuncts. Multiple tools exist within the surgeon’s armamentarium, including focused abdominal sonography for trauma (FAST) exam, diagnostic peritoneal aspirate (DPA)/diagnostic peritoneal lavage (DPL), imaging, and laparoscopy, to facilitate diagnosis and management of the trauma patient. Care for each injured patient requires experienced clinical evaluation, time-honed judgment, and individualized treatment. Junior trainees are often reminded of the value of experience in the trauma bay when a misstep in management occurs. Appropriate and timely intervention will limit the number of nontherapeutic laparotomies and their attendant morbidity.